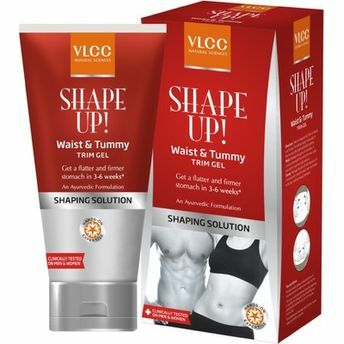 VLCC Shape Up Waist & Tummy Trim Gel is a result of over 15 years of research at VLCC. It is the healthiest way to cut weight on your waist and tummy areas with a non-greasy formula that gets absorbed quickly. It works in 3 ways by releasing and breaking down cellular fat into consumable energy, flushing out extra-retained water from the system and strengthening skin's surface, giving more toned muscle and skin tissues. VLCC Natural Sciences has created this trim gel with an advanced Ayurvedic formulation that has goodness of herbal and vegetable extracts for a flatter and firmer stomach. Additional Information: With the motto of AAlternatively, you can also find many more products from the VLCC Shape Up Waist & Tummy Trim Gel range.